Cellulite is caused by the storage of subcutaneous fat, water retention and aging of connective tissue. This unpleasant trio causes the skin to appear as lumpy, with irregular fatty deposits and dimpled skin, sitting primarily around a women's hips, buttocks, and thighs. The combination of acupuncture and cupping may be a safe and natural way to help reduce and eliminate cellulite. 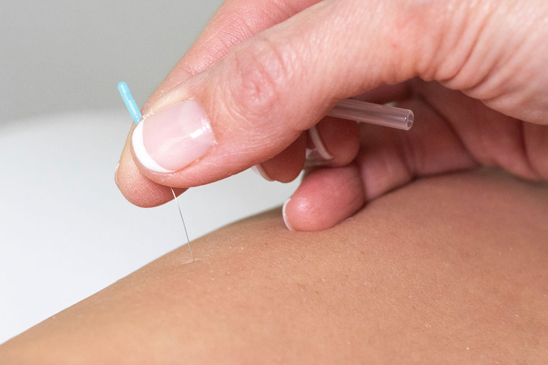 Acupuncture deals with cellulite at its source, by nourishing connective skin tissues from within, while the cupping is effective in stimulating the fascia and breaking up the stuck cellulite. When improved nutrition is added to the mix, the “healthy trio” may defeat the unwanted cellulite. How can acupuncture, cupping & nutrition reduce cellulite? For those looking for a non-invasive treatment to fight cellulite, the effective combination of acupuncture, cupping, and individualized nutrition may be the desired route to take, as together they work from the inside and the outside to reduce cellulite. According to Traditional Chinese Medicine, deficient spleen energy can cause poor digestive function, and is often the root cause of excess weight and cellulite.Using acupuncture may strengthen the spleen energy, while increasing the digestive efficiency of the stomach and spleen functions through targeted nutrition may reduce the cellulite at its source. The addition of cupping, which acts as a physical stimulation to break up the stubborn lumps of fatty deposits, completes the treatment. This is an intensive treatment designed to cleanse and improve circulation, as well as firm up and improve skin tone, with a focus on the problem areas. During your individualized cellulite treatment, focus will be placed on the causes of cellulite - mainly the trapped toxins, excess mucous, and the lack of circulation. Not only will you receive treatment on the affected areas, you will also receive acupuncture stimulation along the liver and gallbladder meridians to further promote circulation. Guidance is given for at-home techniques, including dry brushing and stretching.